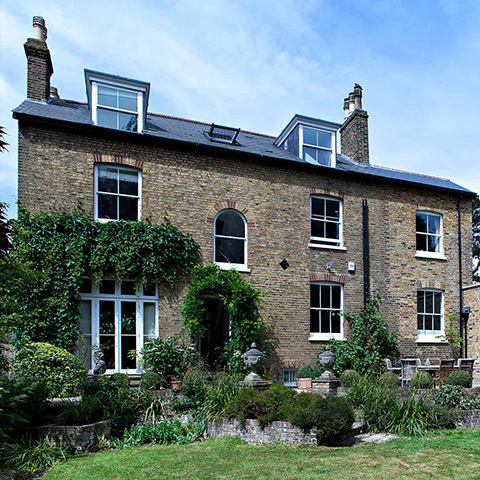 Our brief: the complete renovation and refurbishment of this period property, including a full loft conversion and 3 storey rear extension. 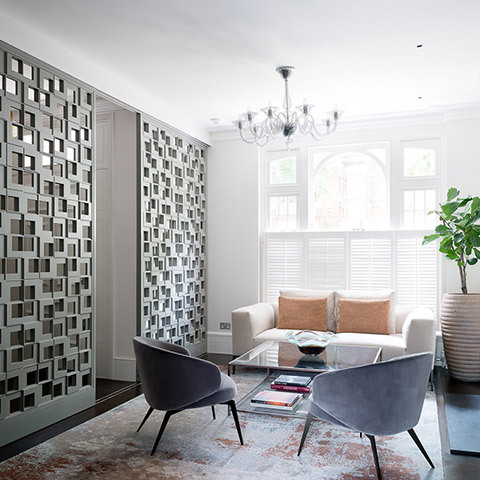 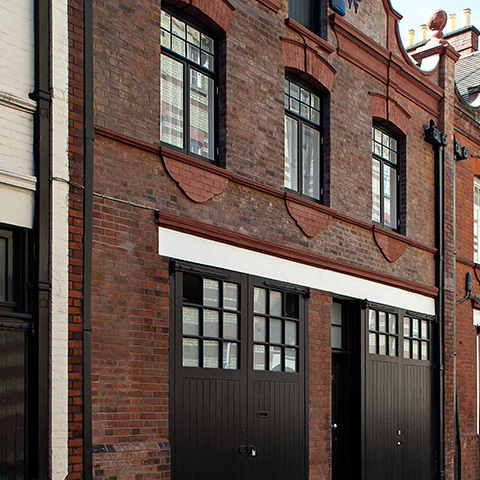 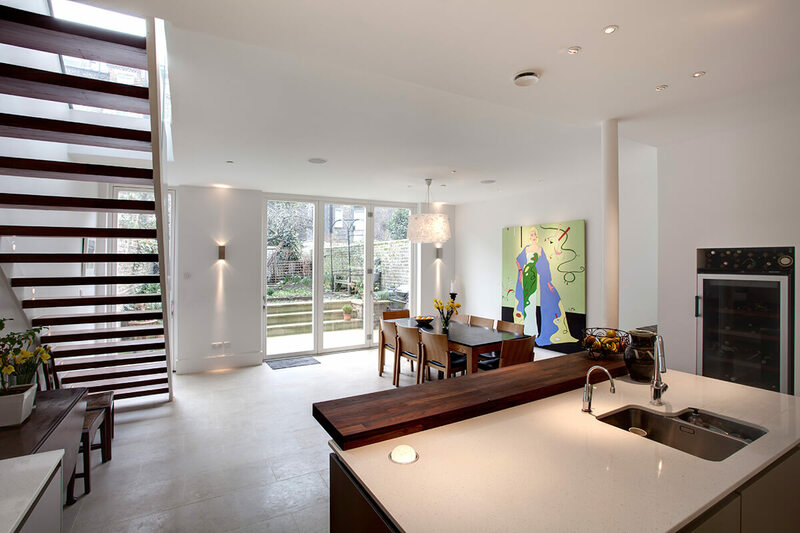 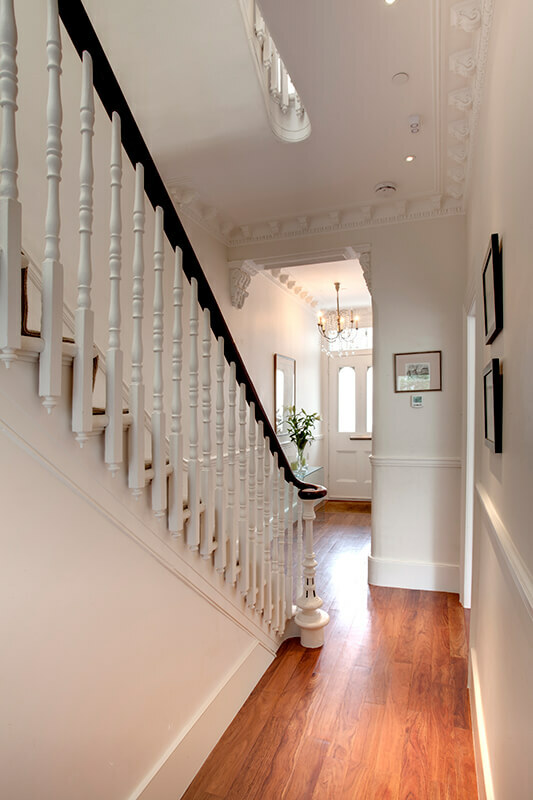 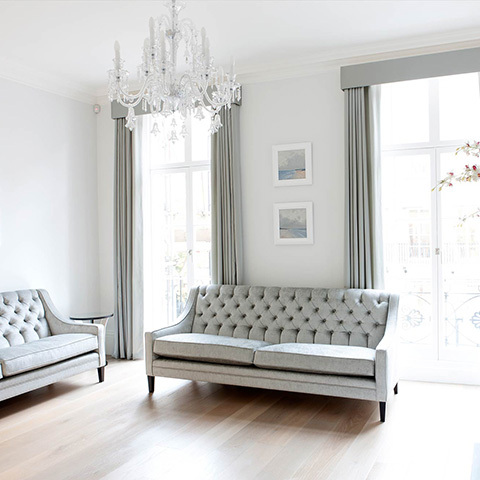 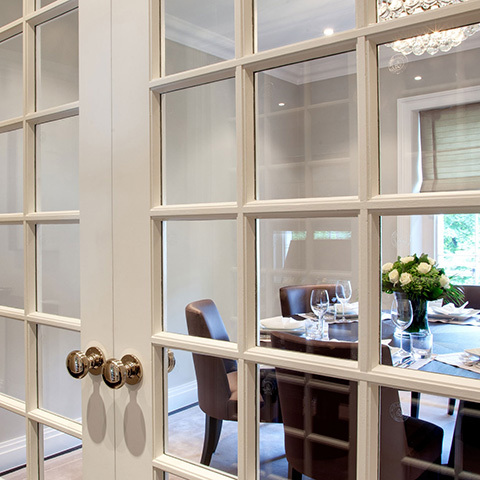 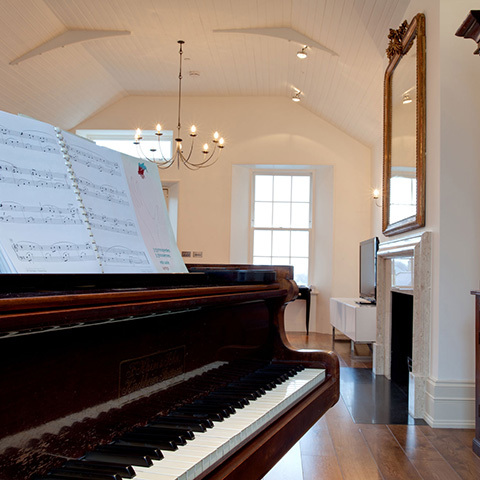 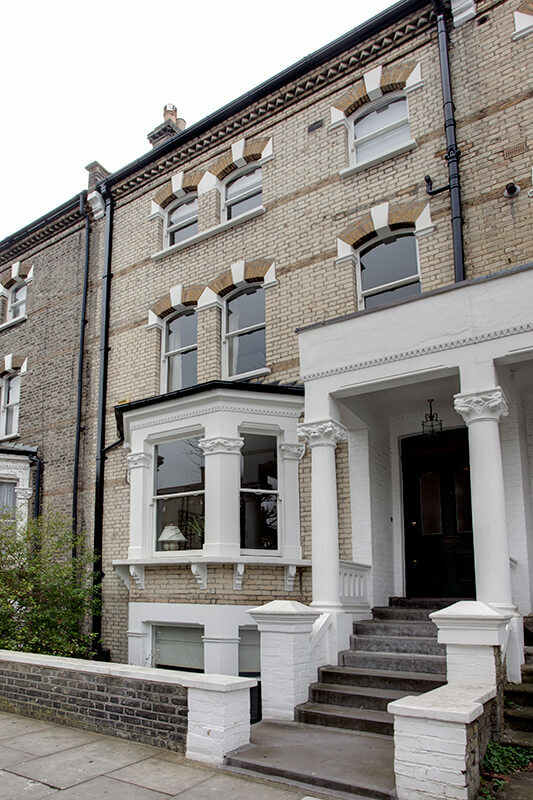 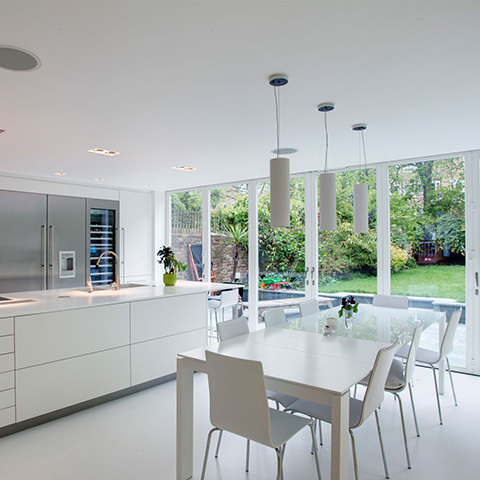 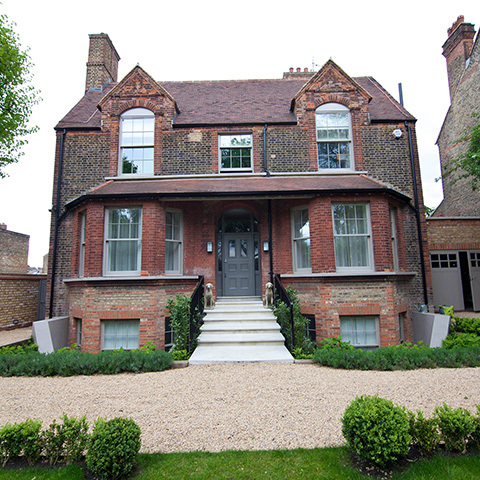 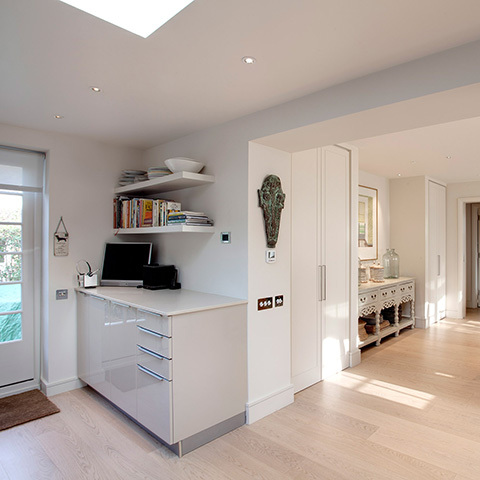 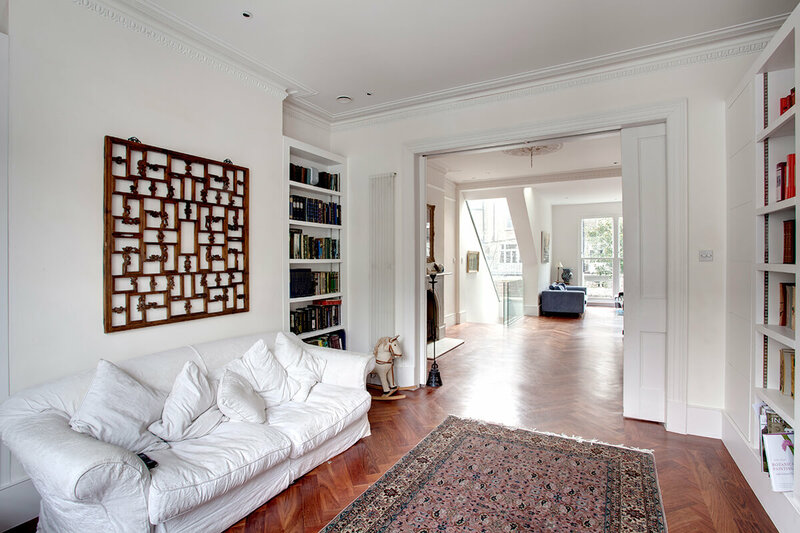 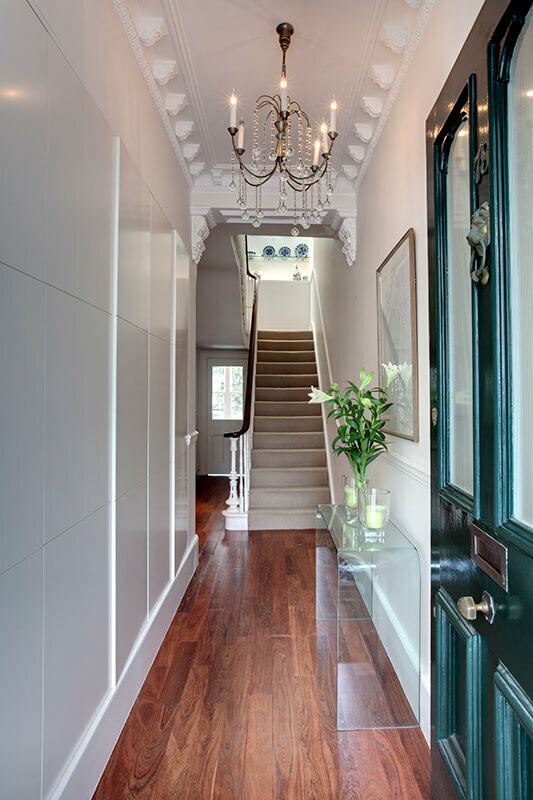 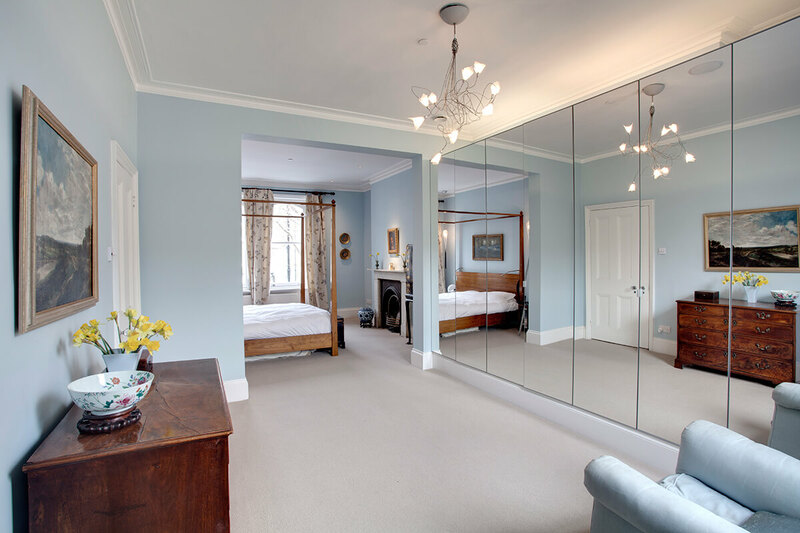 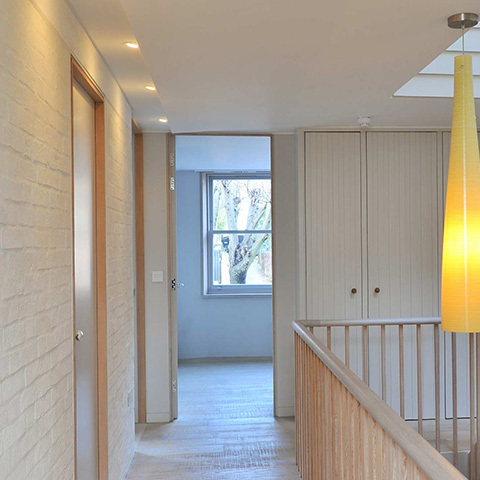 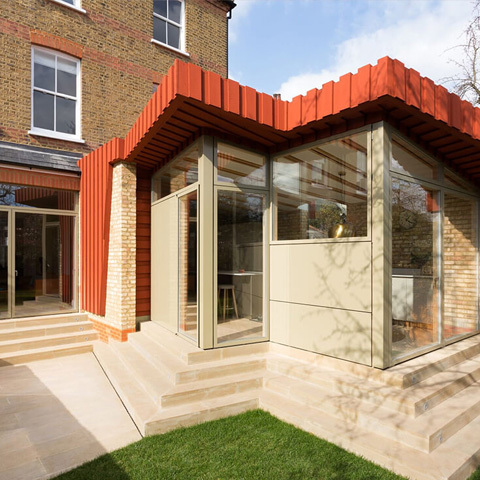 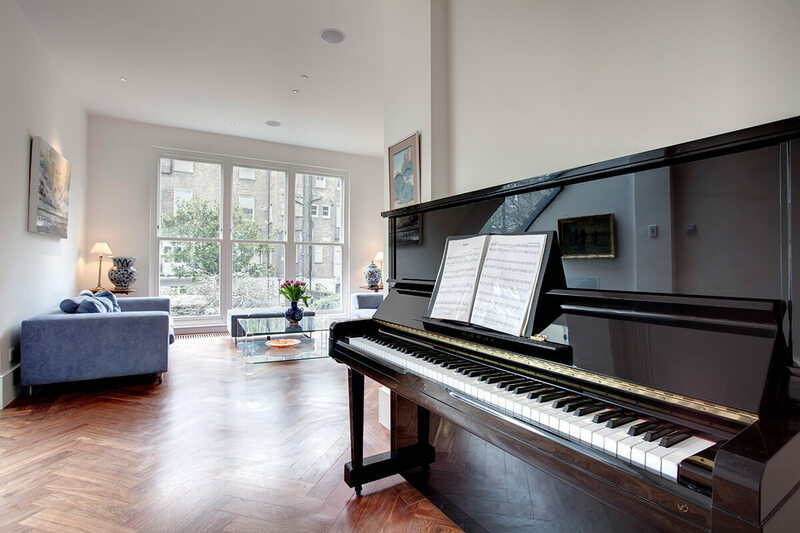 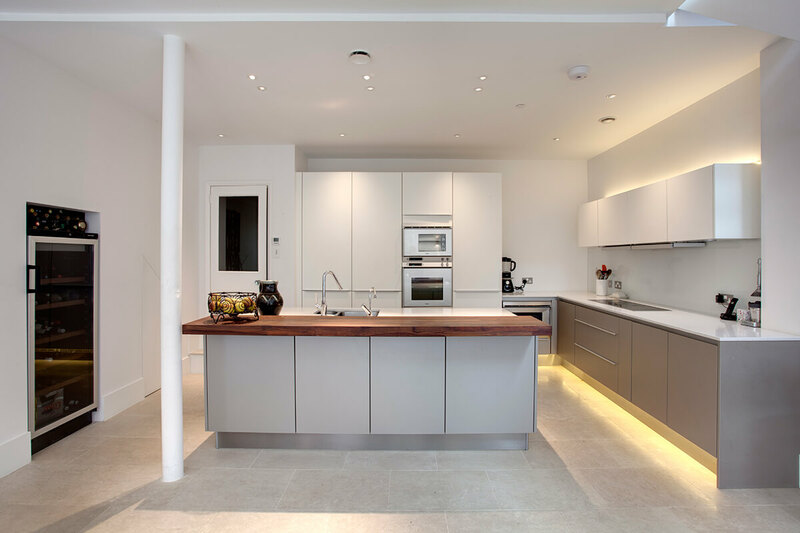 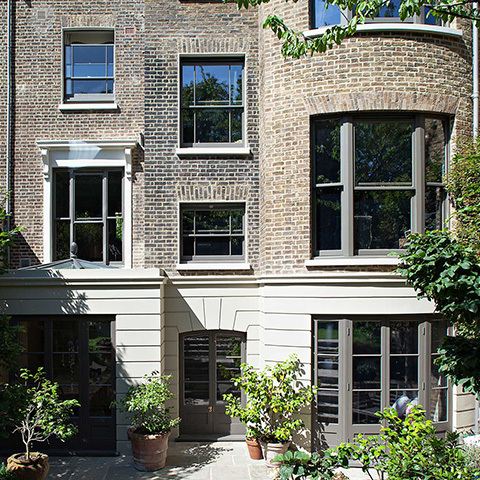 This demanding project involved considerable construction and building renovations as this period property underwent major structural and interior redesign and refurbishment. 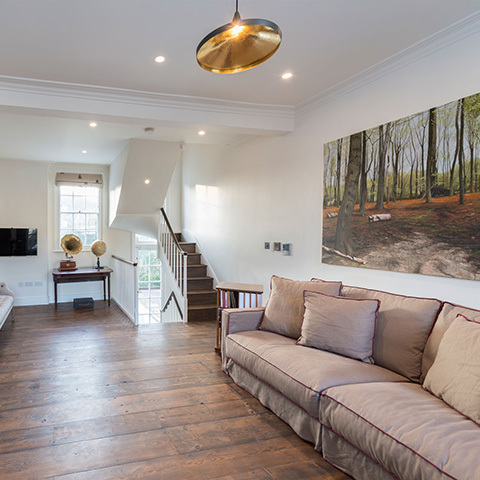 A full loft conversion created 1 new bedroom and en-suite bathroom, whilst a 3-storey rear extension dramatically enhanced the internal living space. 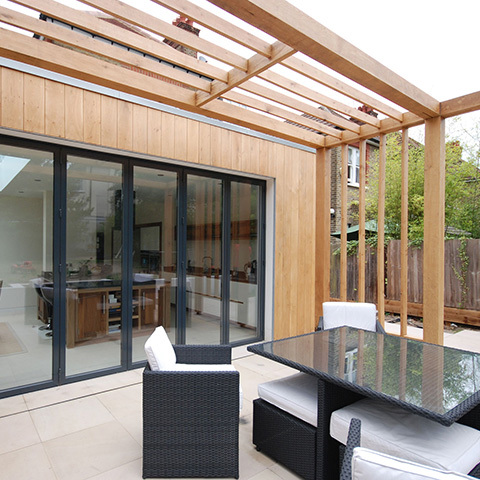 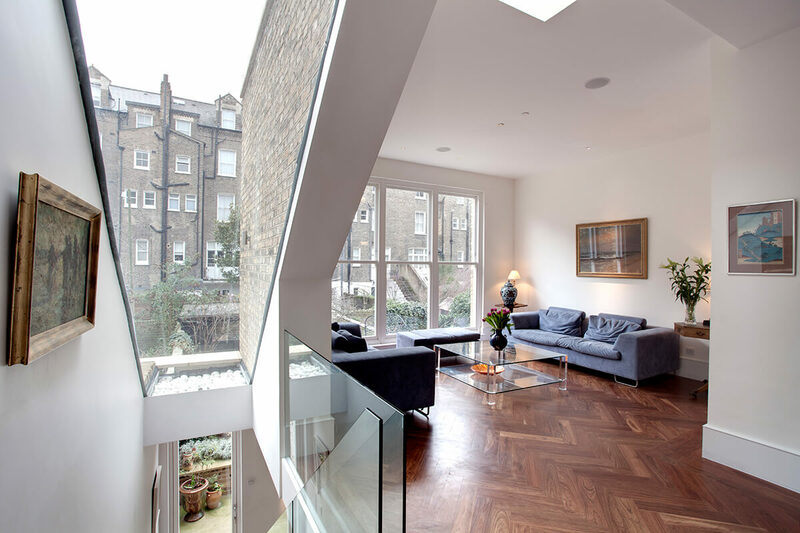 New windows were fitted, some extending from floor to ceiling in height, adding a dramatic sense of light and space in the home. 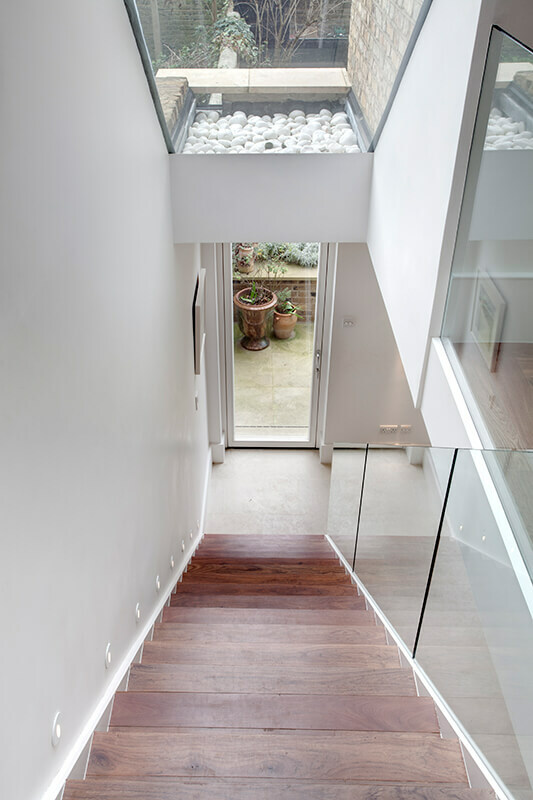 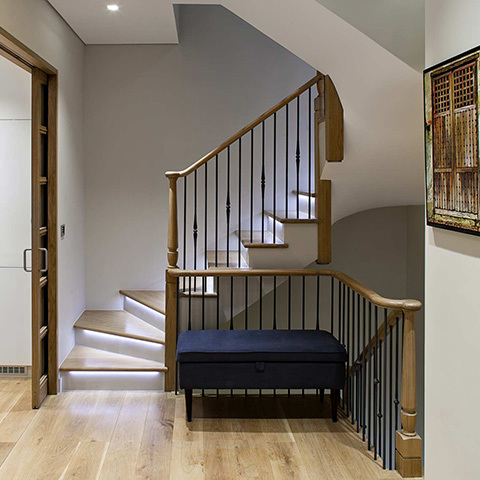 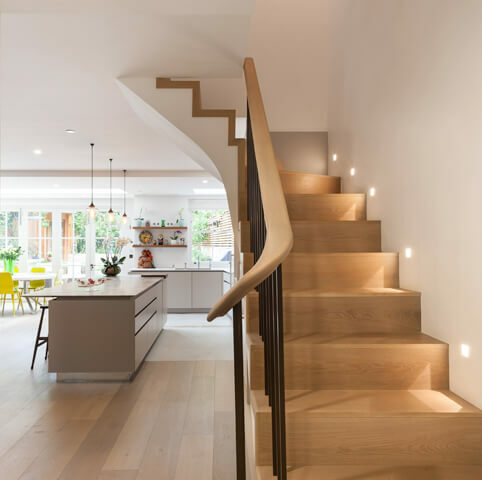 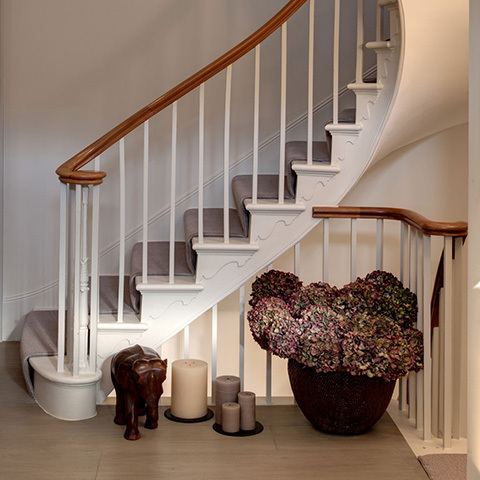 A bespoke timber, glass and steel staircase with open treads was specially designed and fitted internally; the rich warmth of the solid herringbone parquet floor blending perfectly with the muted shades and texture of interior carpets, rugs and soft furnishings. 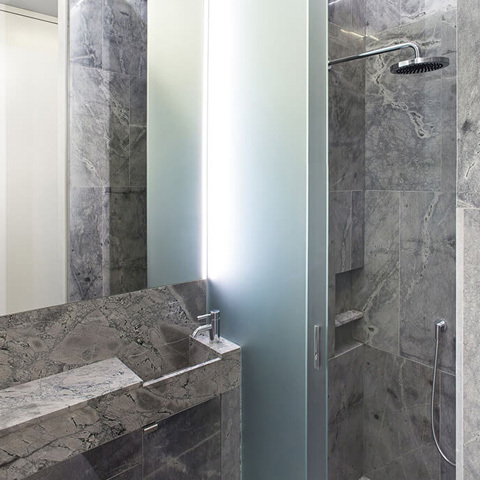 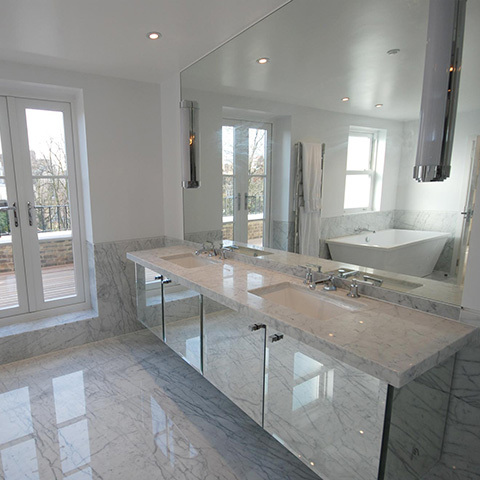 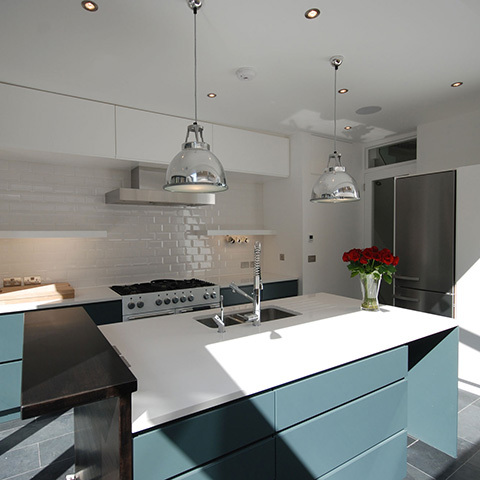 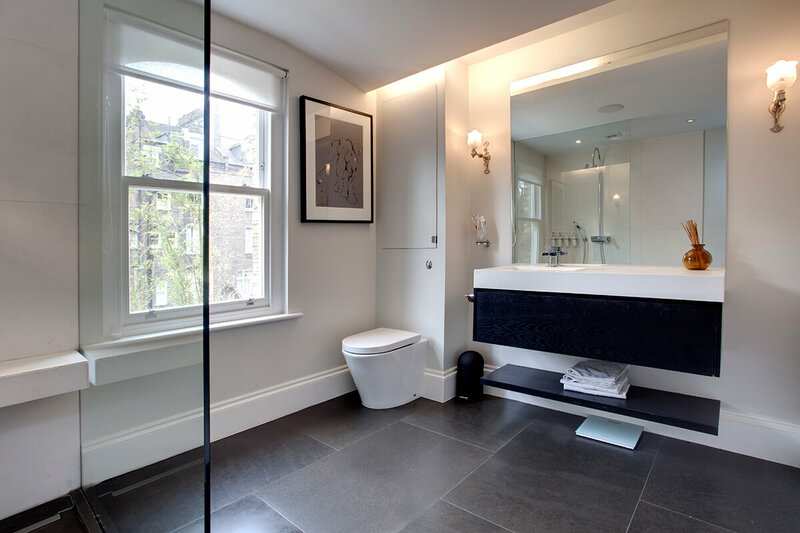 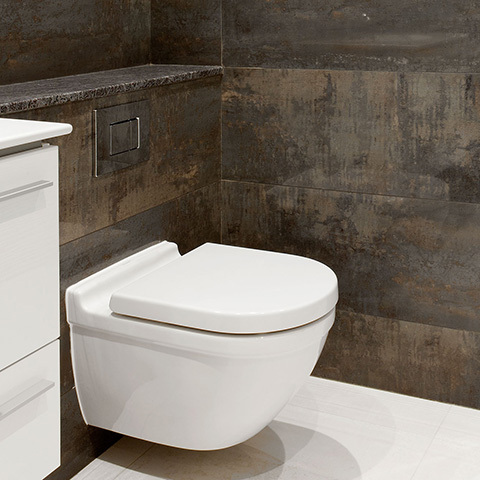 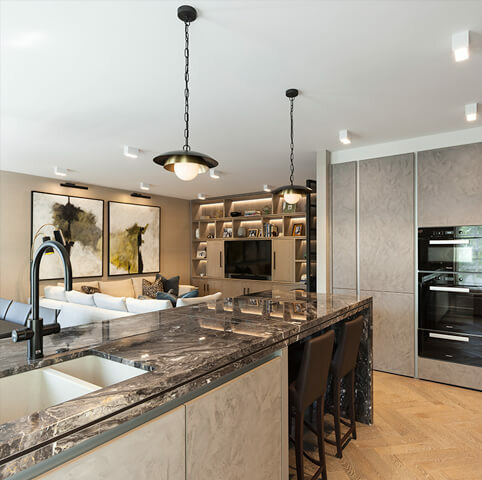 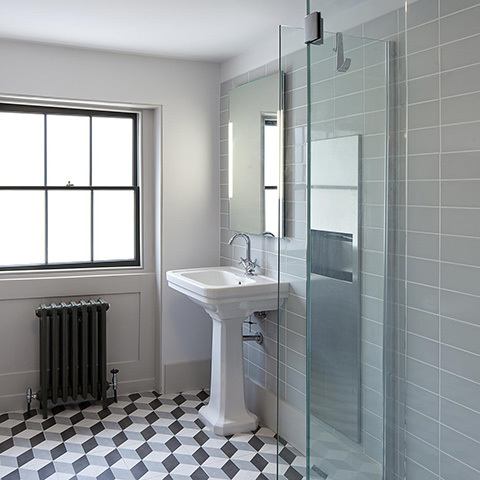 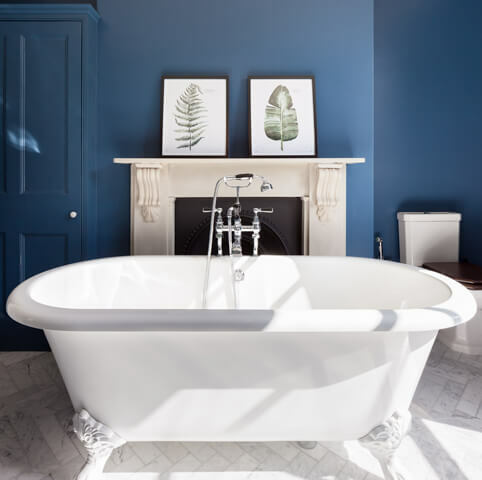 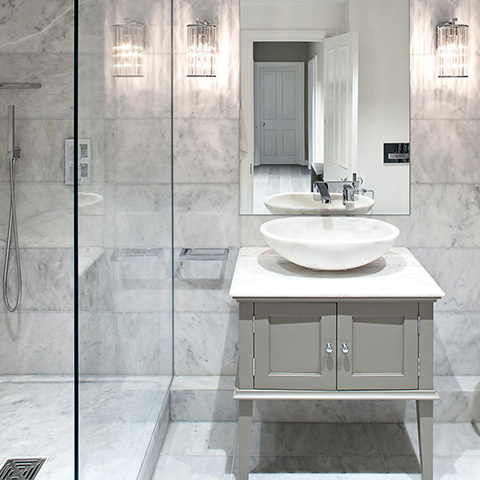 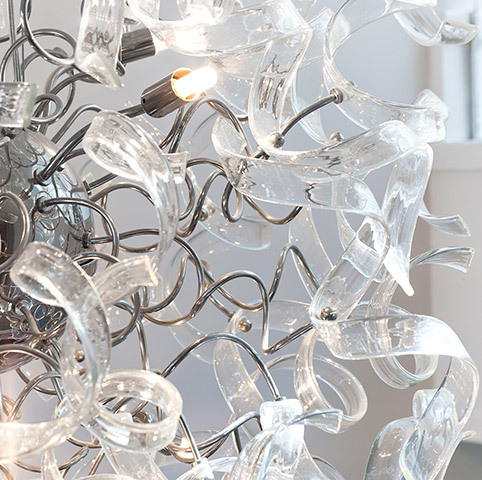 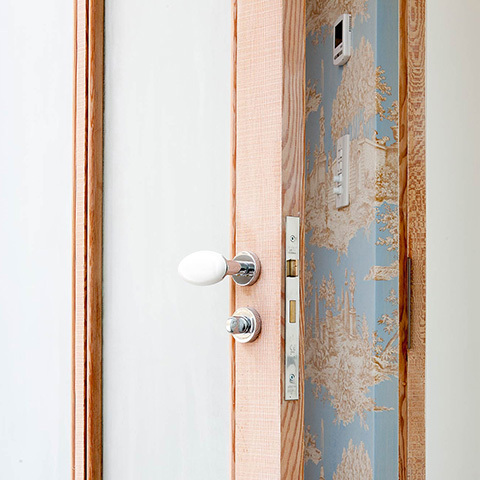 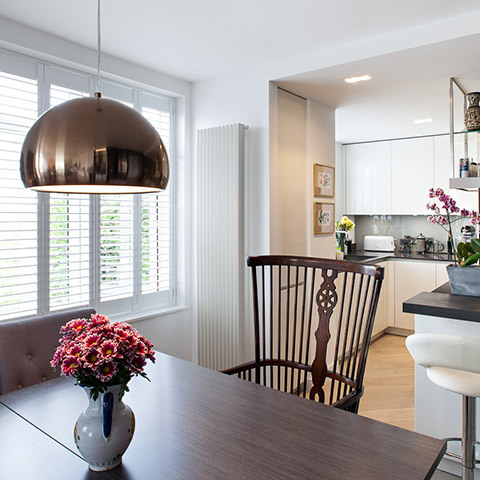 There are immaculate finishing touches to the high specification fittings and fixtures, with bathroom sanitary ware and ironmongery door-handles reflecting the overall elegance of the interior design style. 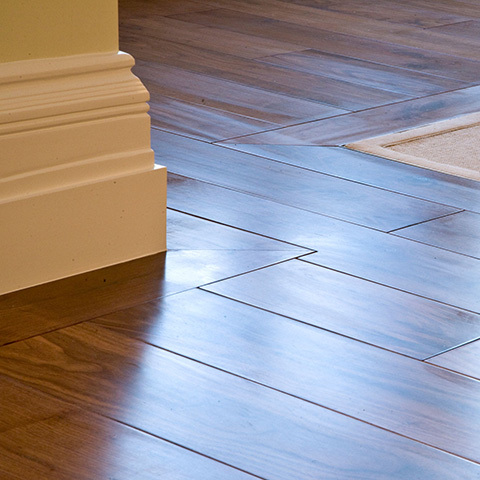 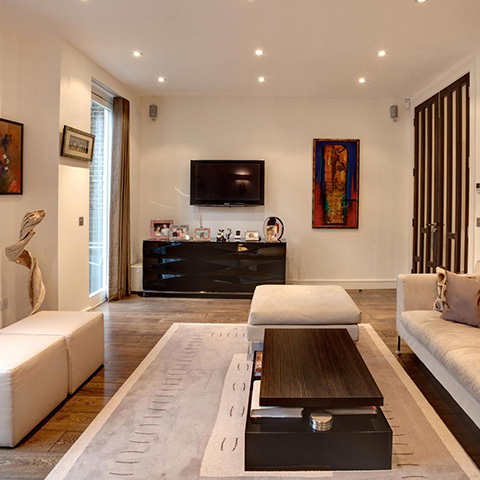 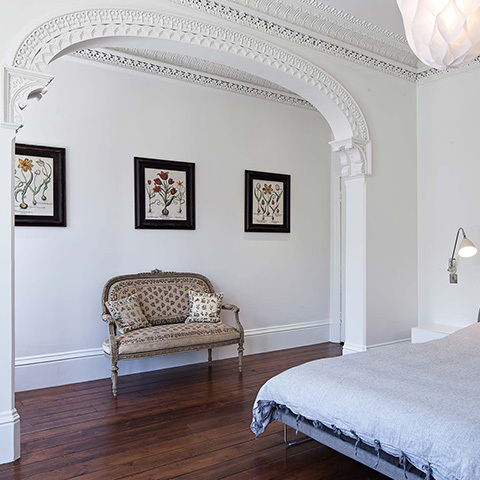 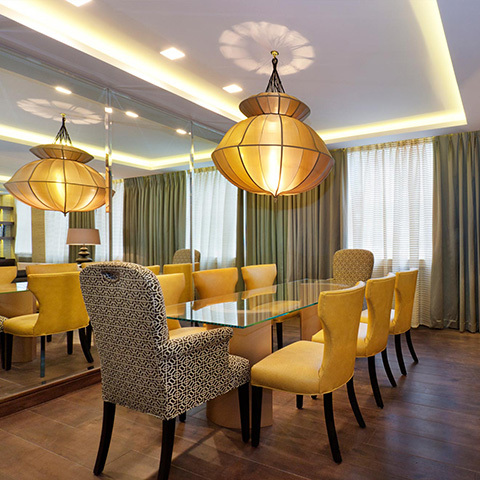 The result is a fine, light, spacious family home with elegant touches of luxury and comfort.